There's no more margin for errors for Zinedine Zidane's men in the league and every game left must be played with the focus and determination showed in tonight's second half. The Merengues have beaten Las Palmas by 3-0 and are now 8 points below the league leaders Barcelona. In the first stages of this season, the Bernabéu has been far from being the fortress the players and the fans are used to. 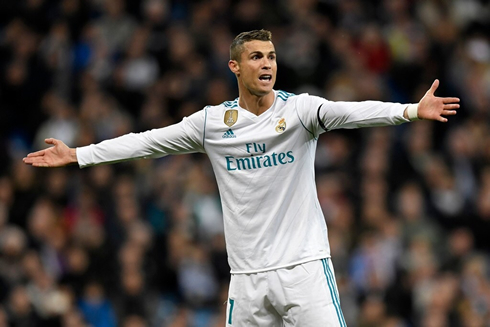 Real Madrid ended up dropping points in their first 3 home league games against Valencia, Levante and Betis, leading to a growing discontentment and impatience from Madrid supporters. The last 3 games at the Bernabéu allowed the team to regain some of their confidence levels back, with wins over Espanyol and Eibar in October and tonight against Las Palmas. The Merengues defeated the Canary Islands-based side with a 3-0 victory this Sunday, with goals from Casemiro, Asensio and Isco. 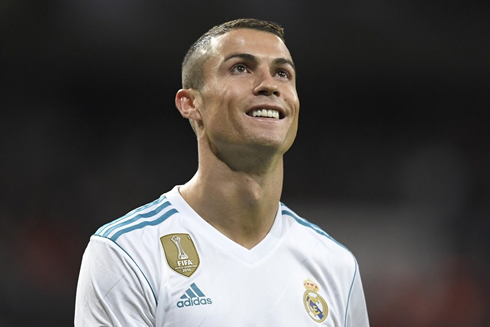 Zinedine Zidane must have had one hell of a speech at halftime in their game against Las Palmas, because tonight we saw an invigorated Real Madrid for the first time in a long time, but only after the break. It's one of the few times in recent weeks that Real Madrid looked confident in their attacking play, despite what started as a rough game. 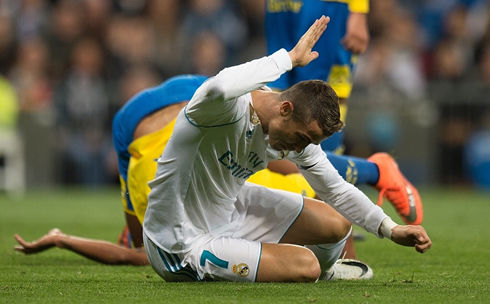 It was the capper to a horrible week for Real Madrid, one that started with a loss away to Girona and climaxed at a 3-1 loss in Wembley to Tottenham Hotspur. The murmurs about Zinedine Zidane's job security started getting louder, as Real Madrid fell to 8 points back of Barcelona in La Liga and down to 2nd in their UEFA Champions League group. Tonight, thankfully, it was a bit easier. 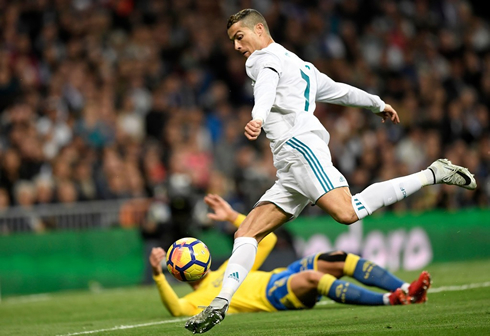 Real Madrid ran off 3-0 victors to lowly Las Palmas, a side that's lost all of the magic that made them so incredibly fun last season. Casemiro, Asensio and Isco were the goal scorers tonight. Marco Asensio's effort, in particular (a half-volley from outside the box), brought the Bernabéu to its feet. Yet another wondergoal for the wonderkid. It was another frustrating game for Cristiano Ronaldo as he remains stuck on a single goal for his La Liga campaign so far. He was again involved today though, hitting the woodwork on one occasion and setting up Isco for the third and final goal late on, but he was visibly frustrated during the match. The weight of the goal-drought seemingly weighing on his shoulders. Up next for Real Madrid is Atletico Madrid on November the 18th and it couldn't have come at a better time. Madrid needs a bit of a break, and I think the players regrouping individually before returning for the derby may be the best course of action for our underperforming squad. There is still a bit of time to go in the season and how we approach the end of the year will tell us all how we will perform when the pressure piles up in January. Cristiano Ronaldo next game for Real Madrid is on November 18 of 2017 against Atletico Madrid. You can watch Juventus live stream, Portugal vs Saudi Arabia, Belgium vs Mexico, Northern Ireland vs Switzerland, Scotland vs Netherlands, and Croatia vs Greece, all matches provided from our live soccer game pages.